B.O.S.S. ™ is the first and only odorless, non-toxic, non-flammable and biodegradable spray that permanently removes stains and odors. Simply apply B.O.S.S. ™ directly to odor or stain source. Leave 5 to 10 minutes. Natures Air ™ Spray works quickly and safely to eliminate airborne odors caused by tobacco smoke, cooking food, garbage, toilets and all other areas where odors are found. Safe to use around pets, plants, food, and children. Germ Doc. ™ is our E.P.A. Registered mildew stat that kills mold and mildew, spores and fungi (quaternary disinfectant). 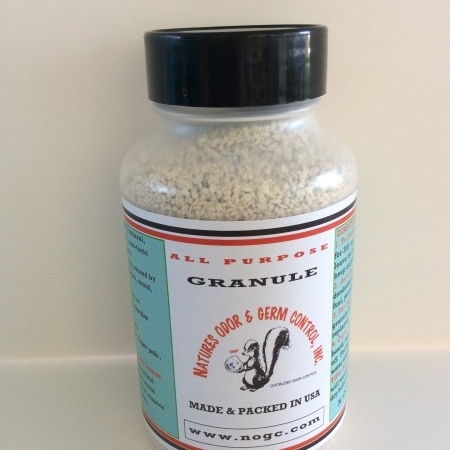 Kills gram-positive and gram-negative bacteria. Contains four top-quality quats plus other ingredients for complete top quality disinfectant, which meets O. S. H. A. requirements. B.O.S.S. #1™ is the first and only odorless, non-toxic, non-flammable and biodegradable spray that permanently removes stains and odors. Simply apply B.O.S.S. #1™ directly to odor or stain source. Leave 5 to 10 minutes. Clean with a damp cloth and repeat as necessary. 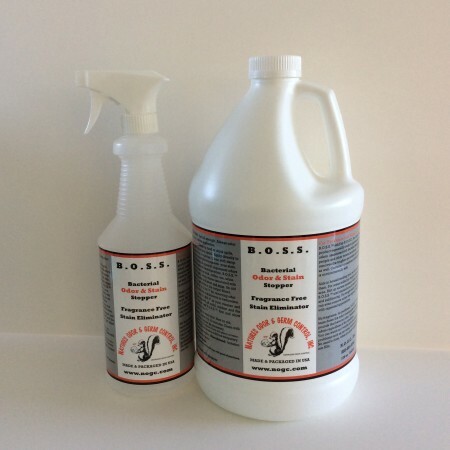 Highly effective in removing all types of unpleasant odors and stains associated with bacterial decomposition, B.O.S.S. #1™ removes most protein stains such as food, coffee, tea, urine, feces, blood stains (old or new), vomit, stains associated with vomited cat hairballs, and even red wine. Mildewcidal: Use full strength. Germ Doc ™ will effectively inhibit the growth of mold, mildew and the odors caused by them when applied to surfaces. Use anywhere a water-based cleaner can be used. Always use Germ Doc ™ full strength and allow to dry on the surface. Fungicidal: Use full strength. Effective against trichophyton mentagrophytes (athlete’s foot fungus) when used on surfaces in areas such as locker rooms, dressing rooms, shower, bath areas, exercise areas. Bacterialcidal, pseudomonicidal, staphylocidal, tuberculocidal, virucidal. Serious HUNTERS EDGE®Package Washer Odor Controller S.W.O.C.